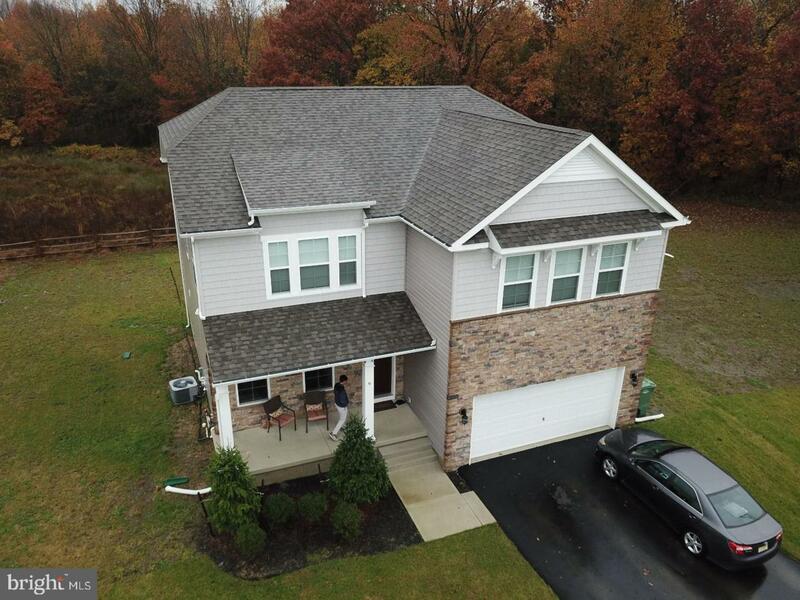 Beautiful Newly Constructed Devonsforde Estate Home for Sale!! This gorgeous North facing home is situated on .25 acres (11052 sq ft) in a Cul-De-Sac with backyard facing woods. Enjoy 3200 plus square foot of livable space. This home has 5 bedroom, 3 full bathrooms, partial finished basement and two car garage with 2 feet extension. Enter the home with beautiful hardwood floor throughout most of the first floor. The gourmet kitchen features granite countertop, an island, stainless steel appliances & roomy pantry for storage. The family room has 9 feet ceiling, recessed lights, gas fire place, open floor plan to kitchen and dining area. The home offers one guest bedroom on first floor with full bathroom. Second level opens to loft, 4 additional bedrooms with walk-in closets and a laundry room. The master bedroom is huge with walk-in closet, a grand bathroom with large tub, a shower with glass door and bright window so that natural light can enter. Home also offers partial finished basement to entertain your guest and rough in for future bathroom in a basement. Ample of storage space throughout the house. Come see it yourself! !